Today wasn’t too bad because the only time constraints were things like dinner and making sure kids followed their usual bedtimes. Getting up tomorrow is going to be the hard part; the pre-dawn light ive gotten used to is going to be gone for a couple weeks. However, this will be my only complaint about the time switch. This year. 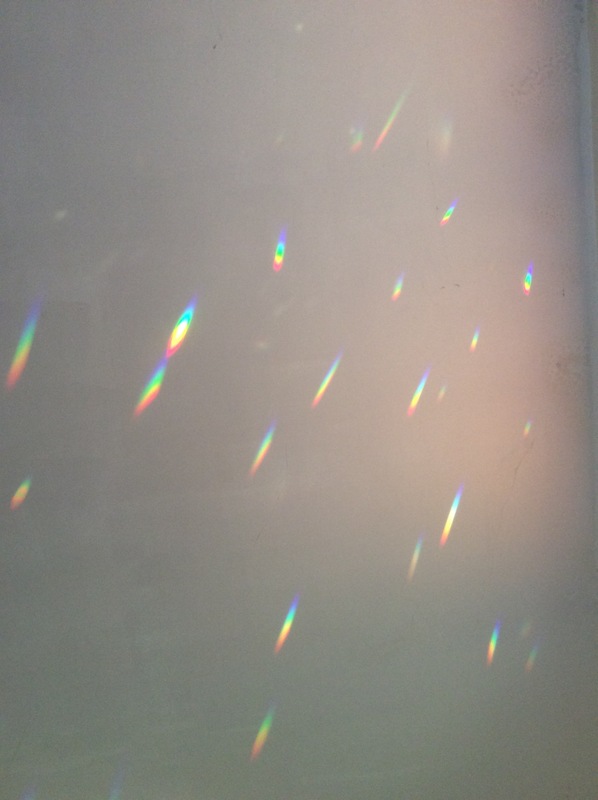 Early morning light shining through prisms in the window.